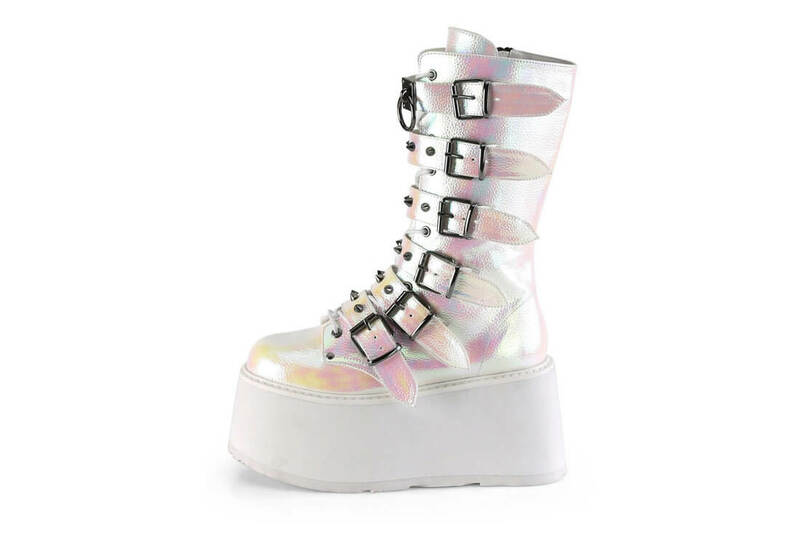 A one of a kind boot, the Damned-225 is a white iridescent pearl platform boot. 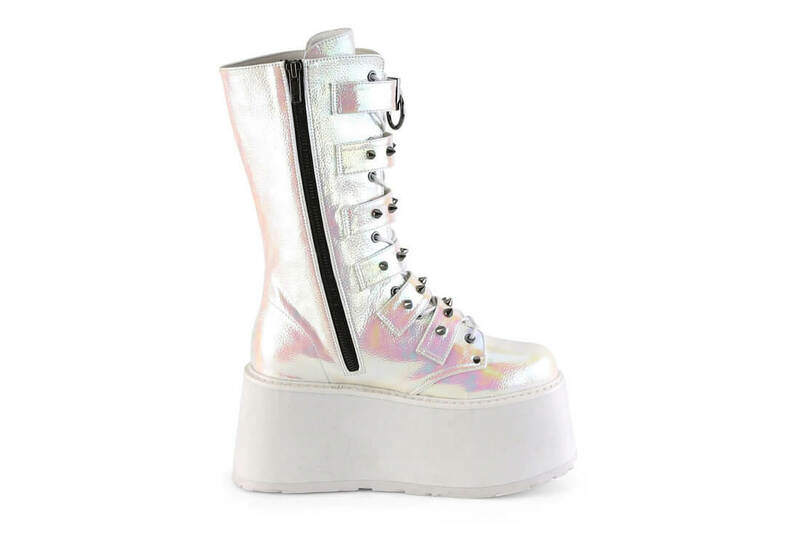 The platform is pure white and is 3 1/2 inches tall. 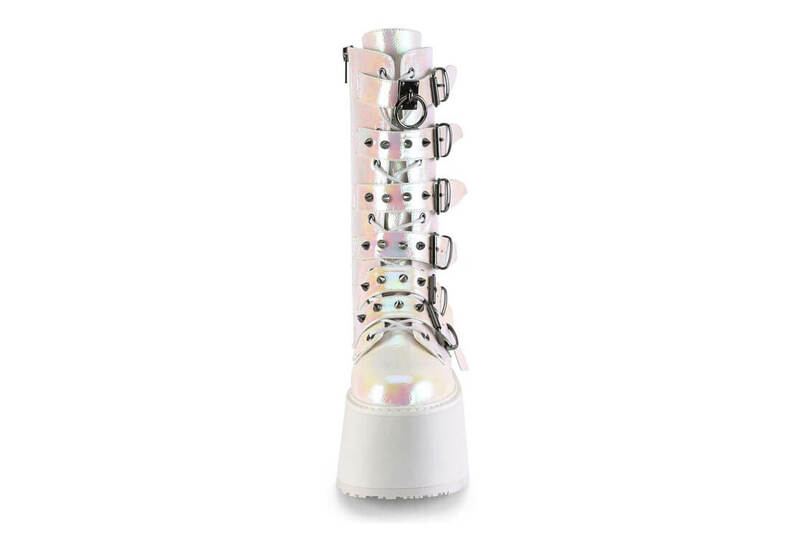 The front of the boot has six roller buckle straps with spikes, on the top strap is a metal plate with an O-ring. 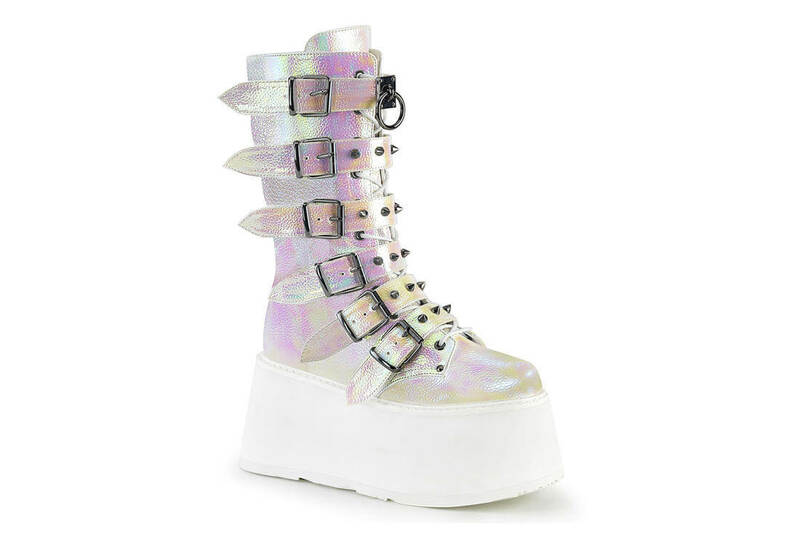 The front laces up and comes with a inside metal zip closure. 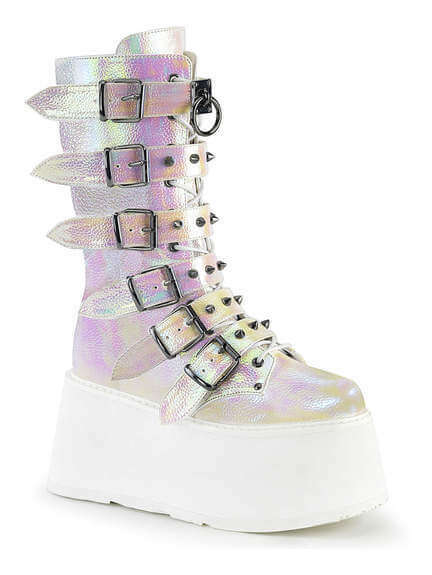 These boots are definitely an attention getter.